Former CIA Director John Brennan appears to disagree with the probe’s conclusion that the meddling scheme did not impact the result of the 2016 presidential election. “DOJ statement and indictments reveal the extent and motivations of Russian interference in 2016 election. Claims of a “hoax” in tatters. My take: Implausible that Russian actions did not influence the views and votes of at least some Americans,” tweeted a bitter Brennan. 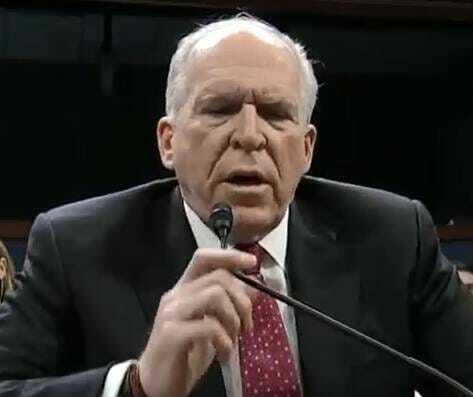 Brennan lashing out at the decision comes amid reports that the former CIA Director is in the crosshairs of House Intelligence chairman Devin Nunes. Former Secret Service agent Dan Bongino joined “Fox & Friends,” Monday morning and warned Brennan is in a “world of trouble right now,” over his testimony on the dubious Steele dossier. “My sources on this are telling me John Brennan is in a world of trouble right now,” Bongino told Fox News’ “Fox & Friends” program.